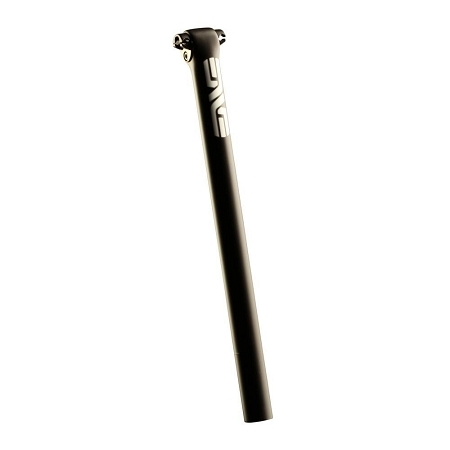 The long awaited ENVE seat post is here and does not disappoint. 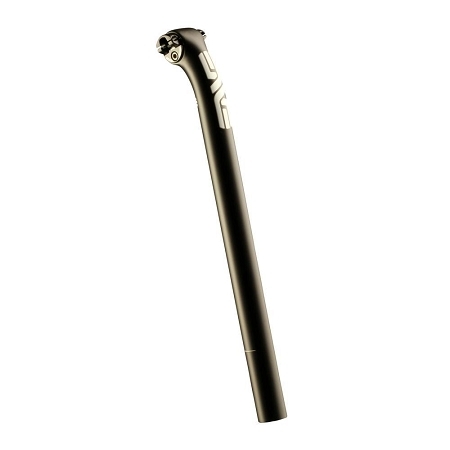 Thanks to its strong one piece molded design, this post is equally at home on technical single track as it is on the asphalt. It features an unbelievable weight and streamlined looks with a single bolt design that may be adjusted with one hand. Ample fore/aft adjustment and infinite angle adjustments are at your fingertips. Weighs 190 grams. 400 mm length. Available in 27.2 and 31.6 mm diameter. Available with 0 or 20 mm setback.